Between trying to juggle work, family and leisure time, it’s easy to put car grooming on the backburner. But having a few car care products at the ready – and a few minutes for a quick once over – will make a world of difference to your car’s appearance. A car is an expensive thing and most of us like to try and keep our cars looking nice to reflect the money we spent (and continue to spend) on them. But it’s easy to let your car’s appearance slip, especially when it comes to minor details like the carpeting and mud in the wheel wells. 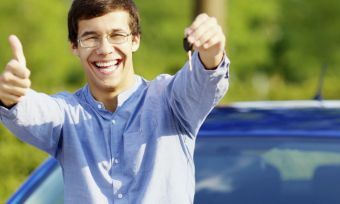 Canstar has put together a list of tips on how to keep your car looking good as new. The floor in your car can easily end up covered with dust, crumbs, scraps, you name it. So, simplify your car grooming routine and buy some floor mats, which you can remove and beat out or vacuum to get rid of the debris. 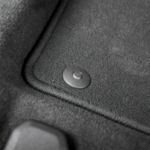 Not only is it easier than vacuuming the floor of your car, but the mats will protect the floor from scratches or stains. Vacuuming should be a high priority car grooming activity. 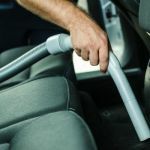 Just because you can get out of vacuuming the floor of your car, doesn’t mean you can skip vacuuming the rest. The seats, driver and passenger foot wells and, possibly the boot, will all need vacuuming to avoid dust and crumbs building up and setting in. As long as you regularly invest some time in car grooming, then you don’t have to set up an elaborate car-washing routine every weekend. Frequent washing with hot soapy water will help keep your car looking clean and sparkly. But, be careful what car care products you use, because some of them can do real damage to your car’s paint job. Find out if there is a recommended brand of car care products for your type of car. When it comes down to it, one of the most effective methods of car grooming is actually keeping your car out of the way of dirt in the first place. In other words, keep the outside of the car covered. 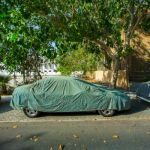 If you don’t have a garage or a carport, a car cover is another option for a car care product to protect it from weather, falling leaves, bird droppings and more. Just to repeat, you don’t have to go the whole hog with a full-on car grooming process every weekend. But, maybe once every month or two you should bust out the big guns. Bring out your whole range of car care products – glass polish, wax, tyre shine – and get cleaning. Keeping your car looking great isn’t a huge chore, it is just requires a little extra effort from time to time, as well as some diligence on your end.